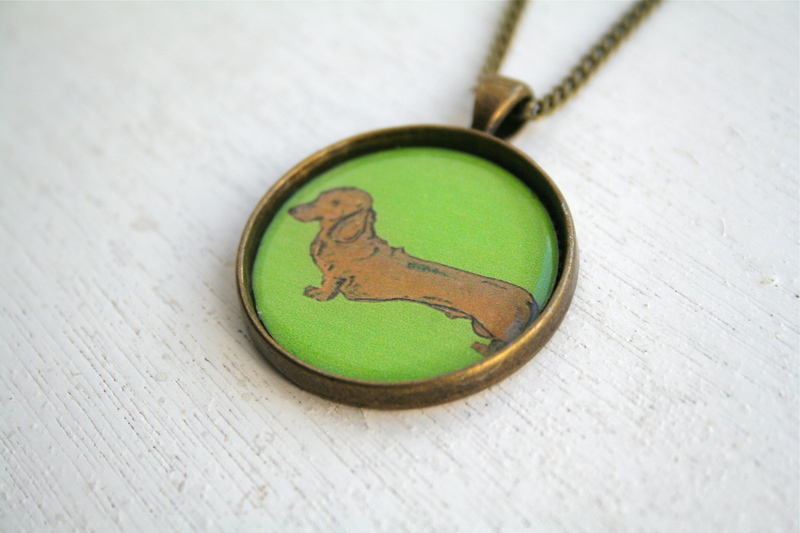 This month I’ve been working on putting together a new Great & Small jewellery range that I can sell via Etsy (& at any markets that I’m attending). 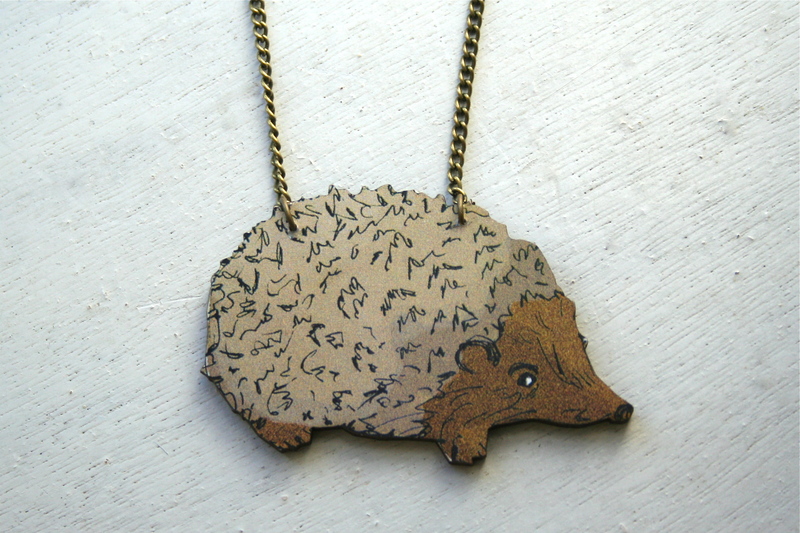 I have four brand new designs of woodcut which feature my illustrations of Hedgehog, Owl, Rabbit, and Badger, as well as a range of cabochon necklaces, & illustrated shrink plastic brooches & earrings. 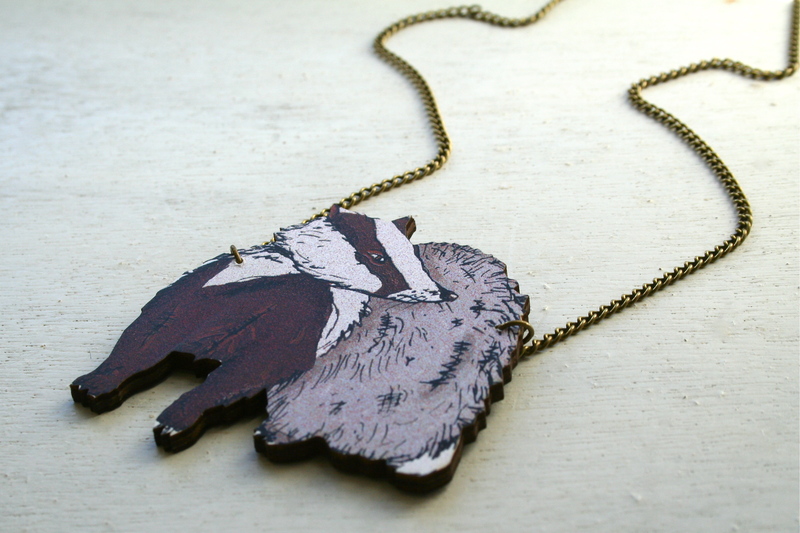 I’ve had four of my illustrated brooches up on Not On The High Street since I opened my shop on there, but as of yesterday these have moved over to Etsy. 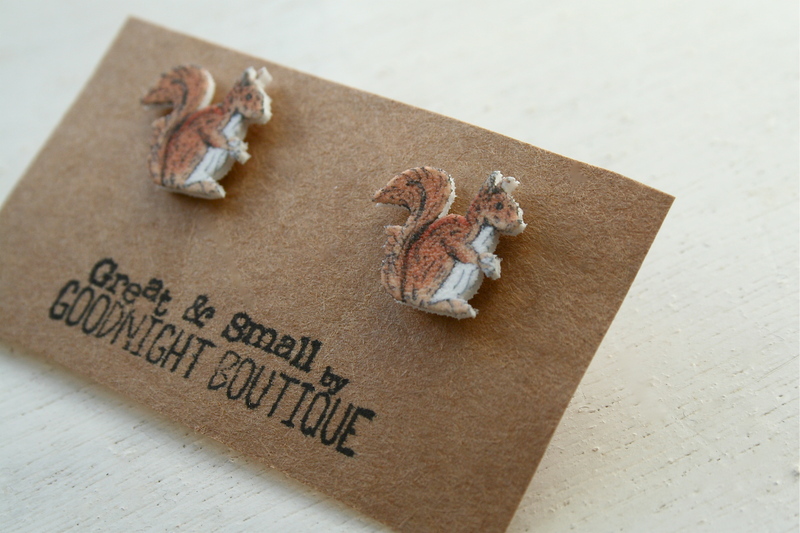 I’m trying to keep the NOTHS shop for stationery, cards, wrap etc & my Etsy for jewellery. 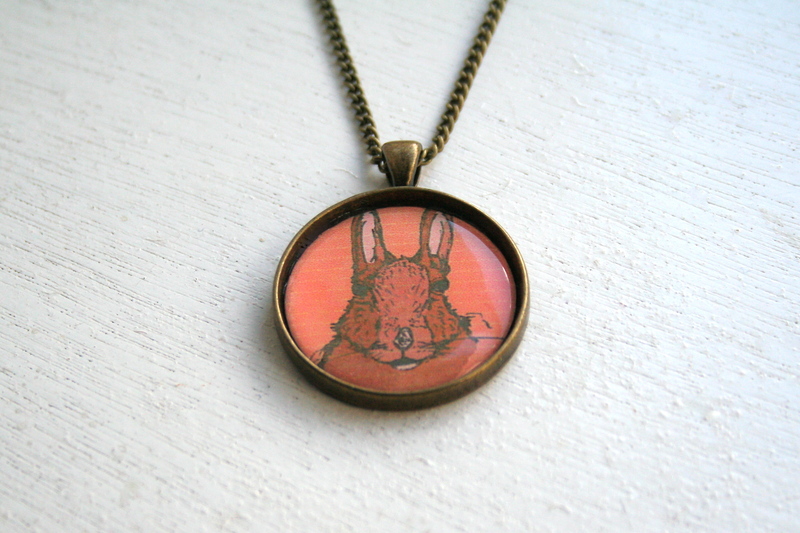 It’s been really fun working on making jewellery with my own artwork as it nicely combines the things I’m working on now (artwork, illustrations, wildlife) with the craft that started my business in the first place – selling jewellery on Etsy! What do you think of the new pieces? Any favourites? 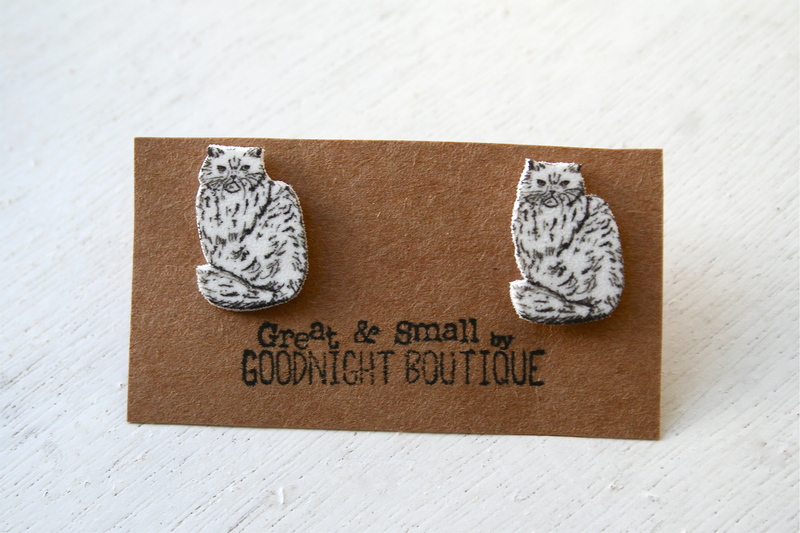 I love these,so delicate.They’re all gorgeous but I really love the owl necklace and the cat earrings.